It's that time of year, the time when the cold outside starts to keep you inside. There's a nip in the air, and a bit more warmth inside. Somehow you find yourself dreaming of spring and all of those blooms you know are waiting just below the ground. What better way to whet your appetite for spring than reviewing the catalogs of peony growers and dreaming up a wish list of peonies for next year? 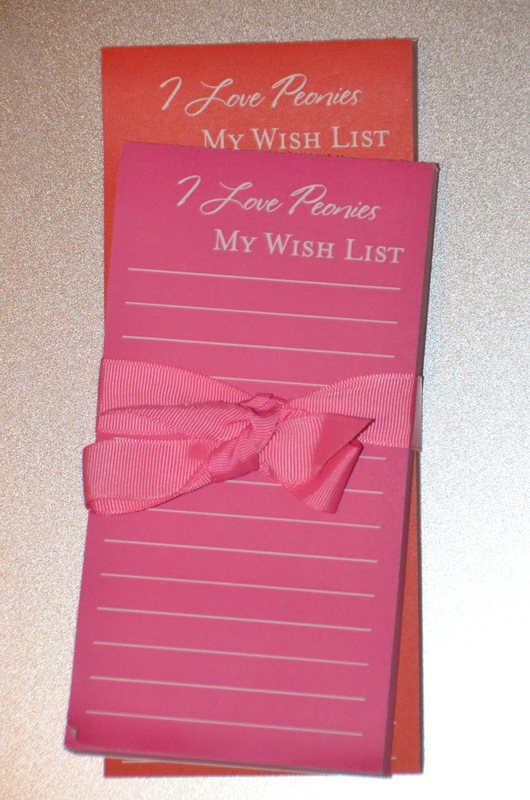 And what better place to record peony dreams than on these "I Love Peonies - My Wish List" notepads that came in a Peony Basket from my 2015 APS Auction Winnings at the APS Convention this year. 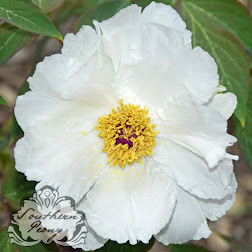 If you think there aren't any 2016 Peony Catalogs out yet, then think again! 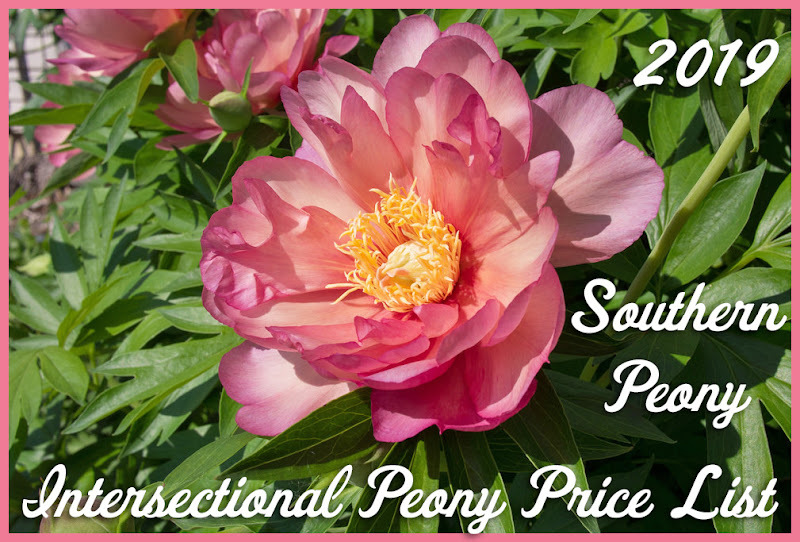 Some peony vendors post their 2016 catalogs early, like Brooks Gardens, Hidden Springs Flower Farm, and Klehm's Song Sparrow. So start dreaming!!! Perennially on my Peony Wish List are Sunny Boy and Pastelorama! 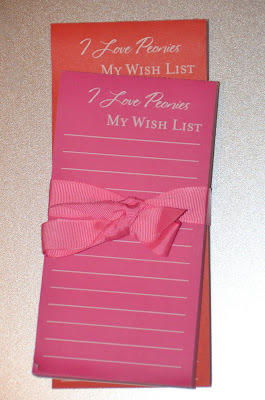 The list never seems to get any smaller either, even though I add peonies to my collection every year, because I always manage to add one or two new ones for every one I get to move to the "Have" list. Expect my "Wanted" list to increase dramatically this summer after attending the APS Convention in Green Bay! I bought Sunny Boy from Song Sparrow years ago, but they sent me the wrong plant. It turned out to be a single blooming coral pink colored peony instead. I know what you mean about the list never ending (especially after seeing all of the lovely blooms in the peony exhibition at the convention)!